Sharifa is a career educator and leader who is innately invested in the ability and success of all students and young people. Throughout her career, Sharifa has served high school students in both traditional public and public charter schools in New York, Washington DC, Baltimore, Philadelphia, New Orleans, and most recently Memphis, TN. Before joining PSP, Sharifa was the Principal of KIPP Memphis Collegiate High in Memphis, TN. 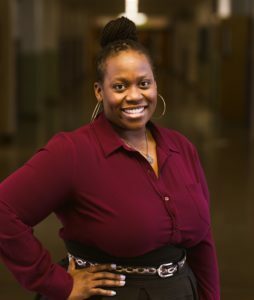 Prior to leading in Memphis, Sharifa was a Social Studies teacher in NY and Washington DC where she earned the honor of Outstanding Social Studies Teacher of the Year. Sharifa is a New York / DC native and received her Bachelor degree in Sociology and Secondary Social Studies education with a minor in Africana Studies from SUNY Geneseo, and Masters of Education in Secondary Social Studies from American University in 2011.